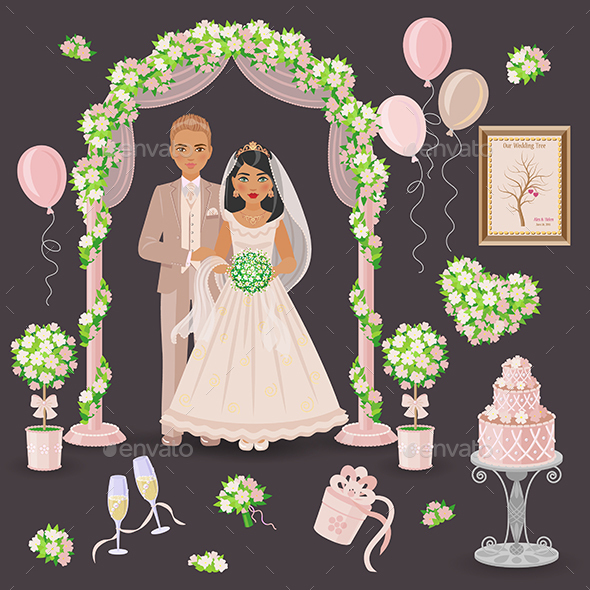 Simplified image of bridegroom in beige suit and bride in cream dress, set of floral elements and another things for wedding design isolated on dark. Wedding decoration in cream green colors. 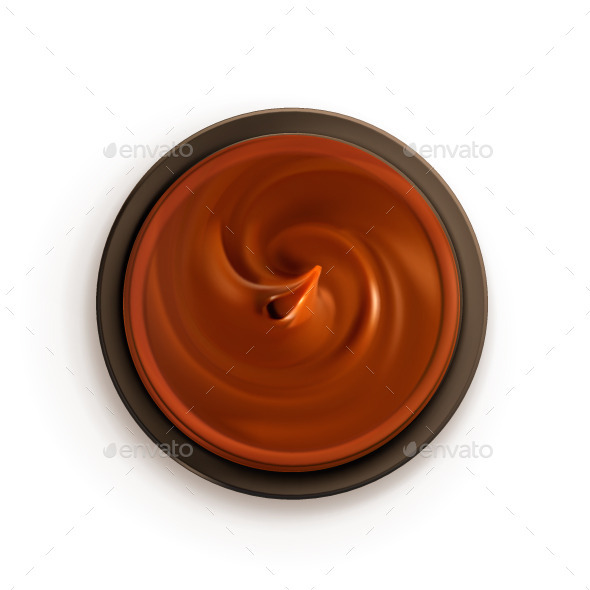 Fully editable vector objects separated and grouped. 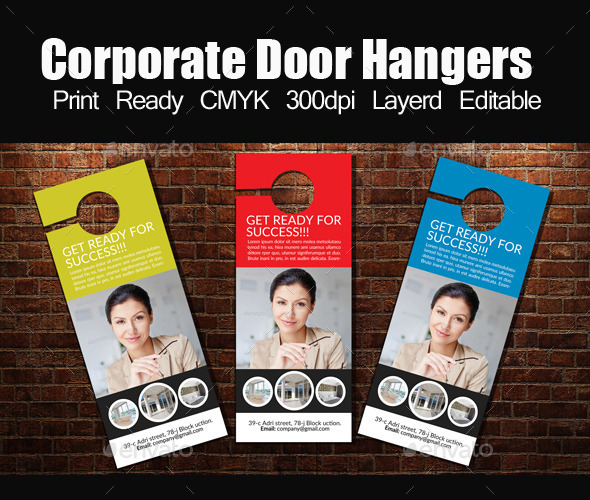 Eps file contains transparency and blends. In zip archive included eps10 and high resolution jpg. 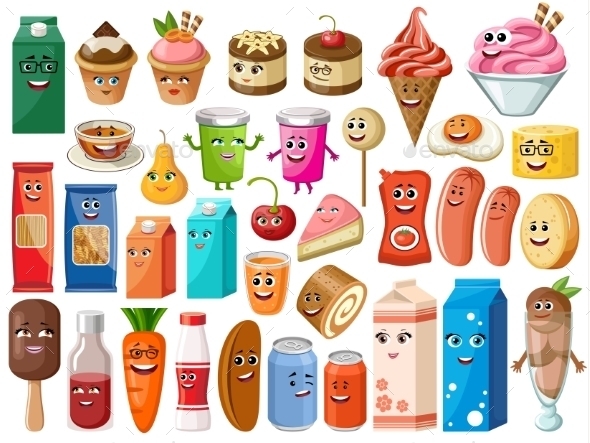 Funny cartoon products with face on the white background. Vector illustration. It is created in the CorelDraw program. It is edited in the Adobe Illustrator program. It is kept in illustrator eps version 8. 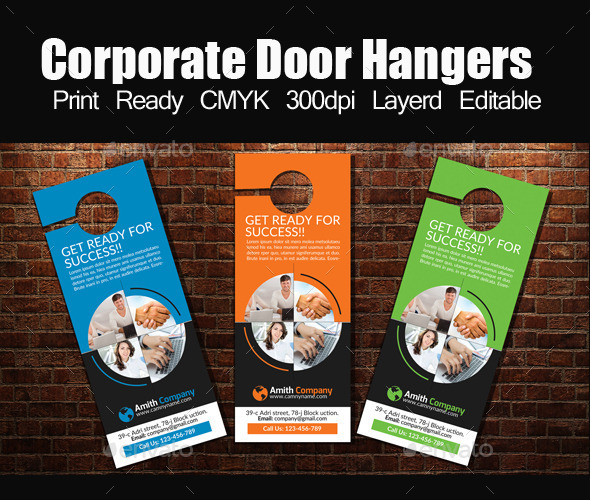 The file can be edited in any program of vector graphics. The size of the file can be increased till any size without quality loss. In this file there are no gradiyentny fillings and mesh. File full color. The illustration can be used both entirely, and in parts. 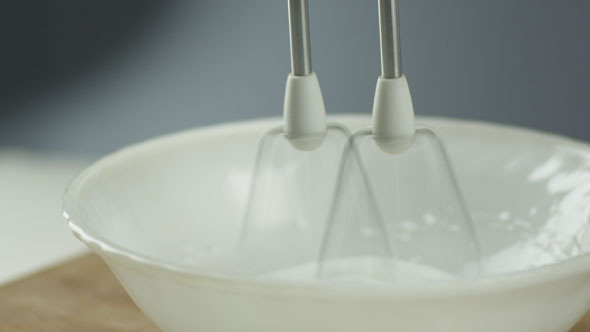 Mixing Cream with Kitchen Mixer. Shot on RED Cinema Camera in 4K (UHD). 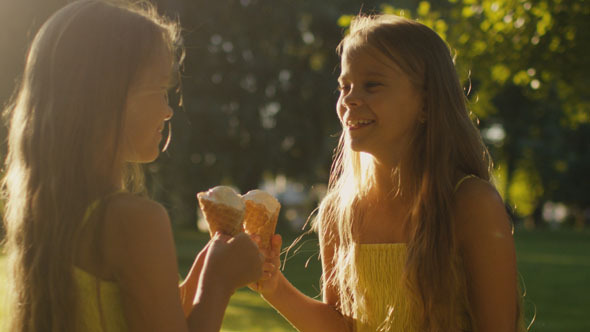 Twin Girls are Eating Ice Cream at Park in Sunset Light. Shot on RED Cinema Camera in 4K (UHD). 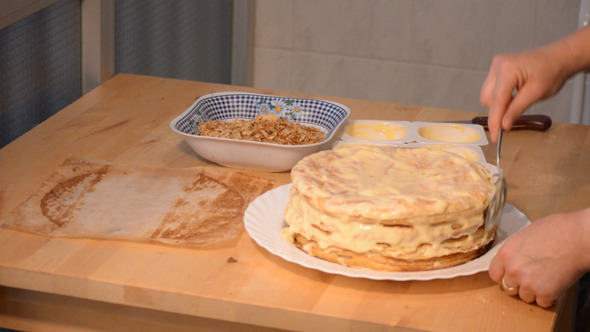 This is footage of the side of the assmebled cake getting creamed.